Here’s a misty, moody photo to match today’s grey weather. Throw back to September 2012 when the husband and I were dating – we celebrated 18months by taking a long weekend to Cradle Mountain and stayed in the Lodge. 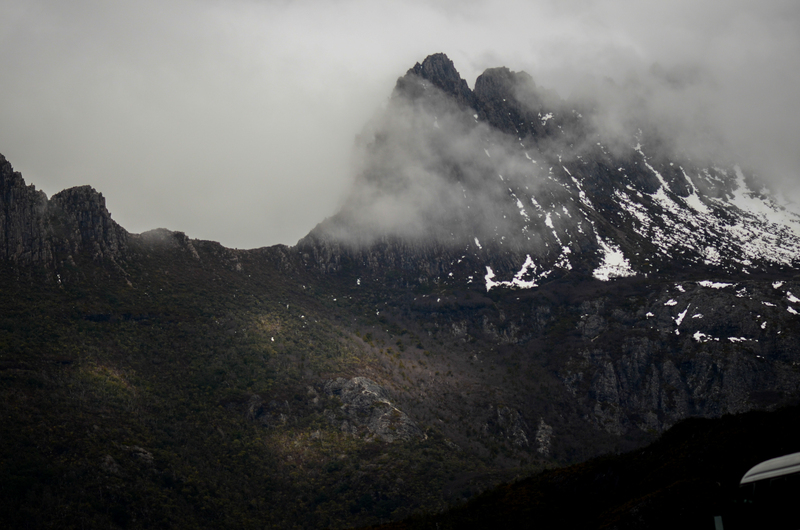 Cradle Mountain is one of those places that is advertised internationally, tourist heavy as a result, but is a constant. Whenever you get visitors to the state, a trip to Cradle is almost always on the cards. As a result, though, it’s one of those places that a lot of locals take for granted, and I’ve even met Taswegian young professionals who have never been to the area before. P.S I should have mentioned that is an amazing photo – but wouldn’t expect anything less from you!